At Aura we are more than a gym. We offer a full range of water activities for all ages. It doesn’t matter if you are coming to learn how to swim or have some fun with the family, we cater for all! Scroll down or click on the links above to find out more. For Aura Boyne Swim Training Plans please click here. 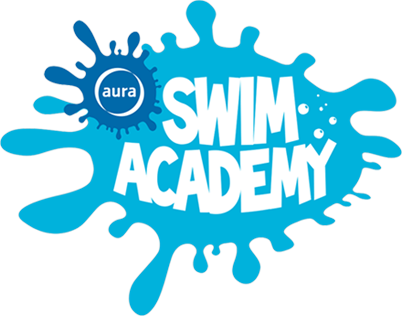 At the Aura Swim Academy, our goal is not only to teach your children to swim, but to help them develop an understanding of the water. We believe that learning to swim can be fun and with our 10 levels, we cater for all ages and ability. Simply fill in your details below for your free Swim Assessment and we’ll contact you with further details as soon as possible. Send us your details and let's get started! There are various adult lessons available, for adults of all levels and ability. We help build water confidence and learn basic swimming techniques with 45 minute lessons over an 8 week course. Our adult classes are structured into Non-Swimmer, Beginner, Intermediate and Advanced levels. There is lane coaching also available. This Royal Life Saving Society (RLSS) registered course is designed for children to gain special lifesaving skills. Rookie Lifeguard is aimed at competent swimmers aged 8-12 years who have an interest in lifeguarding and lifesaving. As a Rookie you will learn special lifesaving skills to help yourself, or know what to do if others get into difficlty in the water. The award allows participants to learn lifelong water safety skills in a fun way. Coaching is available for those who really enjoy swimming and are looking to take it to a competitive level. This session is a vigorous workout focused on building stamina and endurance. All elements of competitive swimming are covered within this program. Swim Tots – for Toddlers ready for the next step! Our Swim Instructors work closely with each child focusing on water awareness, confidence & safety to assist a smoother transition into the higher levels of the Aura Swim Academy. Developed for babies from 3 to 30 months over an 8 week course of 30 minute lessons. Have fun and nurture the bond with your baby by introducing them to the water. Using a gentle and gradual approach our specially trained swim instructors will work with you to ensure your baby feels comfortable in the warm water of our Learner pool.